Red Planet Consulting Pvt. Ltd.
MagikMinds Software Service Pvt. Ltd. The Energy market has exponentially expanded and drastically changed over past few decades. 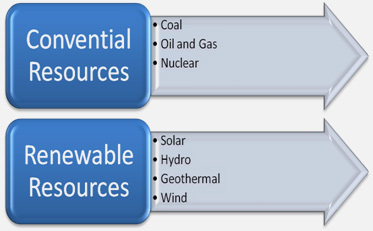 The demand for energy is rapidly growing worldwide especially in emerging market. The main drivers are increase in purchasing power, industrialization and globalization. It is expected that the total world consumption of marketed energy will increase by 48% from 549 quadrillion Btu in 2012 to 815 quadrillion Btu in 2048 (IEO2016-Link). The world's electricity transmission and distribution losses are estimated to be 8.61% in year 2013 from which major part is due to illegal energy theft (IEO2016-link). As per the consumption trends, it has become essential for any country's economic growth to acquire a sustainable infrastructure containing these resources. Some of the prominent sources of conventional energy are coal and oil & gas; while rise in air pollution and climate change has lead leaders to shift their focus to renewable energy sources such as solar, hydro, geothermal, bio-energy and wind. Therefore, it is essential for the government to safeguard these resources and realise them for better economic growth and GDP. To increase annual efficiency gains and cost savings the energy market requires use of technology that can optimize the work flow in better manner. 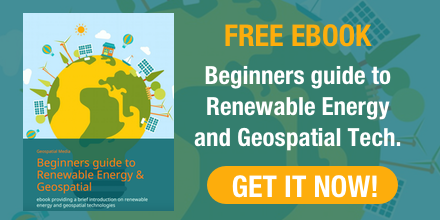 Geospatial technology plays key role in energy industry by answering some important questions such as "Optimum Location for establishing new solar power plant? "; "Best location with high tidal range for Hydro power plant? "; "Best Route for oil & gas pipeline establishment?" etc. Location co-inherits mounds of data on geography, weather conditions, production, distribution, consumption and leakage/ spill which is used for better planning, lean processes, maximizing ROI and reduce operational risks. In Coal mining and oil & gas exploration and production processes geospatial technologies are used at every stage from planning to decommission of the plantations. Geospatial technology helps in accurate measurement of resources below earth crust and in finding potential ground wells. Unmanned Aerial Vehicles (UAVs) are the new Geo-Robots that are being used along with GIS solutions for monitoring and asset management purpose. Also, integration of high velocity spatial data into analytical platforms gives rise to innumerable applications. Considering the importance of geospatial technology in the energy sector; one-day symposium on 25th of January is organized on Energy Resources by Geospatial Media & Communication, as part of the global level event i.e. The Geospatial World Forum 2017. This Forum aims to present global trends of geospatial technologies and its applications in energy sector. It intends to draw attention towards the current policy developments and forthcoming geospatial technologies such as remote sensing, GIS, LiDAR, UAVs and related data analytics solutions. 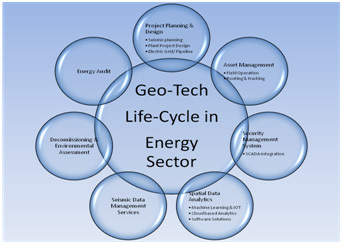 Use Cases of Geospatial technology at different levels of lifecycle such as project planning, monitoring, asset management, security management, energy data management services & consumer indexing, decommissioning and energy audits will be discussed as well. In this symposium, prominent leaders from across the globe will be sharing their practical experiences on role of geospatial technologies mainly on exploration & production/ planning, refining, transmission and distribution of energy resources. It will also provide insights on use geospatial technologies in upcoming clean energy solutions and policy reforms in solar power and geothermal energy resource production. Policy formulation and implementation had always been an important aspect that enables use of geospatial technologies in energy sector. The speakers shall discuss progress on current regulatory and legal advancements in energy industry and will also highlight the importance of energy conservation goals and the opportunity for geospatial industry lie within. This session, will have 40 minutes panel discussion of 5 to 7 panellists at the end to understand concerns in geospatial policy and regulations between industry users, technology providers and policy makers. This session will bring forth important insights through presentation and discussion panel on advancements in clean energy and related case studies of geospatial technology. It also highlights the importance of regulatory and legal aspects in energy sector. Applications of Geospatial technologies in mining, project planning and distribution of energy resources are vast. This session provides holistic view of various geospatial technologies used by energy resource operators and distributors for frequent energy planning, monitoring and emergency response management. Moreover, it is established that location based analysis and map visualization are powerful tools for large energy infrastructure projects. Therefore, this session will also include view of spatial data providers and use case scenarios where real-time information helps business heads in effective decision making. This session will have 40 minutes panel discussion, at the end, on adhesiveness of web and cloud based geospatial information systems and how are the analytical providers helping energy sector at a bigger level. Following sub-themes provide brief information on the focus of this session. Forum shall have geospatial software technology providers, researchers and academia sharing their experience through presentation and discussion on current and future prospects of Geo-spatial data management tools and its applications in supporting energy industry lifecycle. Gain Information on importance and impact of regulatory and legal framework related to geospatial technology on energy sector.